The Chamber's members are business and professional men and women who have joined together to work for the solution of their mutual business and community challenges. The Macon County Chamber is a non-profit business organization. The Chamber collaborates with government, education and private industry to assist and strengthen local businesses, to be an advocate for business, and affect the quality of life for those who call Macon County home by providing leadership and direction for community action. The officers, directors, staff and dedicated volunteers direct activities to achieve the Chamber’s outlined goals and objectives. 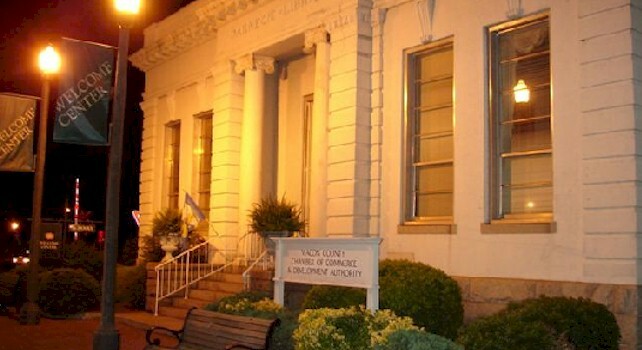 Working to create prosperity throughout Macon County and the surrounding areas. Aiding in the expansion and growth of existing businesses while recruiting additional businesses to diversify employment opportunities and generate more commercial and retail revenue. Addressing local issues to improve the quality of life for all Macon County Residents.